My best friend and were super excited to throw this adorable birthday party for two sweet little girls. 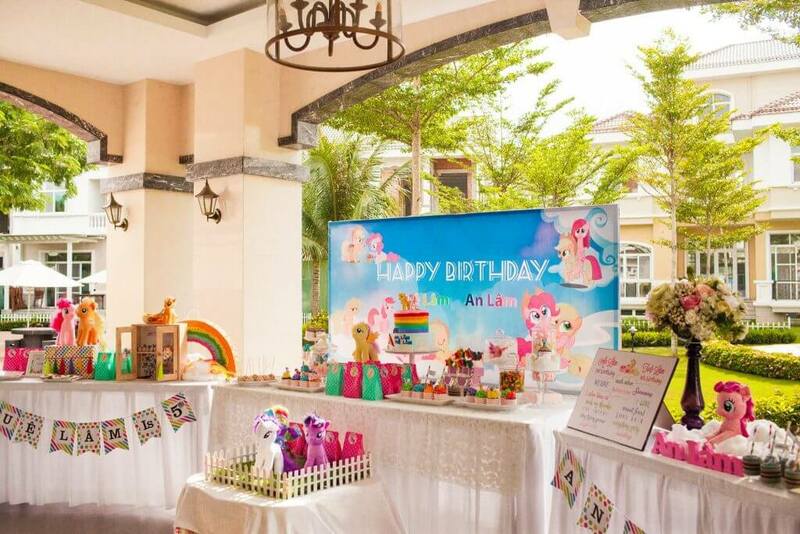 The theme was My Little Pony and it was a double party for two sisters. An Lam was turning 1 and Tue Lam was turning 5; one was Pinkie Pie and one was Apple Jack. My best friend and I were starting our kid birthday planner business in Sai Gon. Due to the fact that I was just visiting Sai Gon for one year, our business was more about fun and do what we love together rather than profits or any other long term plans. I learned so much cool things about kid birthday planning and would like to share with my readers in this post. 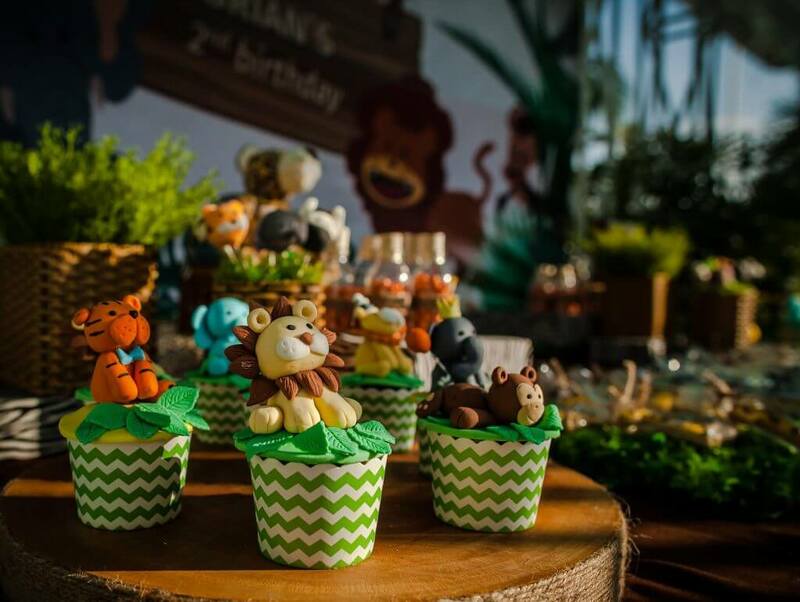 Our first birthday planning event was Brian’s Safari Themed Second Birthday Party and it was something to roar about! It was cool, colorful, and cute! Let’s move on to some of the DIY decoration ideas that are so easy and cheap to make and were such a big hit at the party! 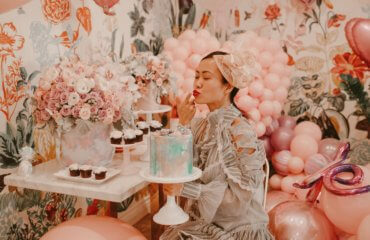 Because I love my readers, I will provide lots of tips in this post and they will help you plan a FIERCE party that your child will remember for years to come! 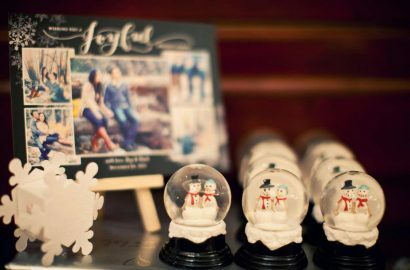 We had our wedding in December and we love Christmas so why not combine the two and have a sumptuous Christmas themed wedding? I incorporated white and red colors into the theme. 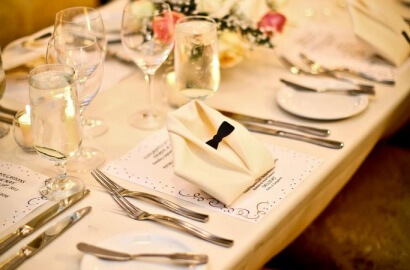 I like a little sparkle so I use glittered snow ornaments as place card holders. Instead of a traditional bridal shower, we thought it’s more fun to throw a couple’s wedding shower since Derek and I rarely do things apart. 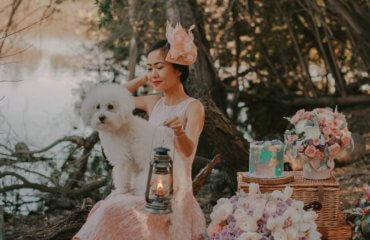 Compared to weddings past, grooms today are more involved in the wedding process, which means wedding showers aren’t just for brides anymore.